With six weeks or so until the symposium, registrations are ticking along nicely and we’re pleased to release the provisional list of presenters and papers, which can be downloaded from the links below. As well as our two keynotes, there are around 30 presentations to choose from, not counting the exhibition opening, and opportunities for interaction and textile shopping onsite. As with the keynotes, the presenters are a mix of stalwarts and newcomers, not all from New Zealand. The topics range from literal to lateral interpretations of the theme, with work, art, and social aspects prominent. Women as shoppers and shopworkers, high-vis clothing, literally building a space for a textile business. The national dress of Colombia, dressing for driving, the races, making a good impression. Footbinding on one hand, and Doc Martens on another. Presentations on artists’ feminist practice, both the presenter’s own work or the work of the more renowned, like Frida Kahlo. And, because it’s the 21st century, the Kardashians are in the mix, as well as earlier, less well-known screen icons. Given the theme, there’s a well over a century of history; the geography includes China, Mexico, India, Iran, Australia, Colombia and of course Aotearoa, south, north and national. The art presentations will include a discussion by Dunedin School of Art’s Victoria Bell and Natalie Smith from the University of Otago about the accompanying Unbound exhibition, and its departure point, New Zealand photographer Christine Webster’s groundbreaking Black Carnival series. The call for projects resulted in the selection of nine artworks across a range of media; Unbound, the exhibition, will open on evening of Friday 21 September to launch the symposium. 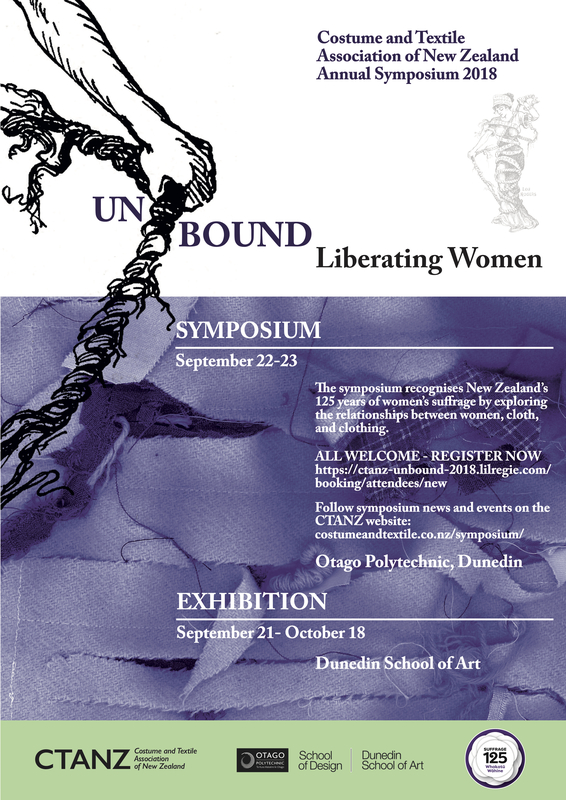 Here’s the list of presenters and papers, subject to a couple of new titles and any other unexpected change:Unbound – presenters and papers and here’s the poster for your wall and for sharing: UNBOUND poster. This entry was posted in Artists, Dunedin, Symposium and tagged Unbound: Liberating women. Bookmark the permalink.